The Tucson gets high marks for comfort and practicality, with spacious, supportive seating and plenty of nooks and crannies for your carry-on items. In the top-trim Tucson Limited, you'll enjoy all-out luxury in the leather upholstery, coupled with handsome door inserts and accent stitching. Savvy comfort features, like heated and ventilated front seats, keep you cozy for hours on end, no matter what the weather. The Ford Escape also offers popular comfort features. The reclining backseat is adult-friendly, with generous head and leg room for extended road trips. When you've got larger items to haul, a one-touch lever lets you flip the rear seats down to increase cargo space in a snap. If we have one complaint about the Escape, it's that the dash seems a bit dated compared to that of the Tucson, with a lot of smallish, similar-looking buttons that take a while to get used to. 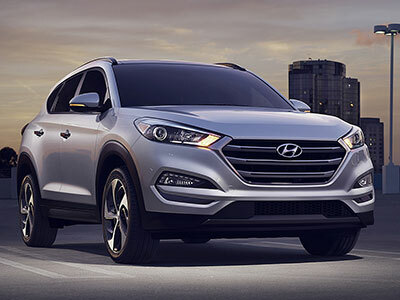 Even the base Tucson model is brimming with tech features, so you can stay connected without overspending. Bluetooth phone and audio connectivity is your ticket to hands-free calls and seemingly endless audio options, including your favorite podcasts and Pandora radio stations. When you upgrade to the Blue Link infotainment system, you'll enjoy increased access to apps, thanks to the crisp, 8-inch touchscreen and a range of voice control options. The Ford Escape's optional Sync 3 interface is user-friendly, even if you've never ventured into the realm of in-car infotainment systems. It includes Apple CarPlay and Android Auto connectivity, so you can display smartphone apps like Maps and Messages directly on the central touchscreen. 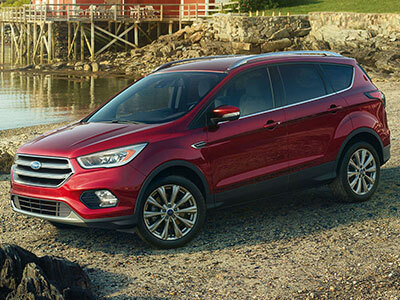 However, compared to the Tucson, you'll have to pay a little extra to stay connected in the Ford Escape. The Tucson's crash-test scores will put you at ease. In government crash tests, both front- and all-wheel-drive models earned a perfect five-star rating for overall protection. The Blue Link telematics system also does wonders for your highway composure. It includes features like on-demand roadside assistance and automatic collision notification, so you know help is never far away. The Ford Escape also earned top marks in government crash tests. Both of these crossovers offer all-wheel drive to increase traction on slick or icy roads. Like the Tucson, the Escape offers a number of high-tech driver aids to help you spot danger, such as the forward collision warning system. However, in the Tucson, this technology goes a step further, automatically applying the brakes to help mitigate damages. In the performance department, the Escape excels. Thanks to its sharp reflexes - including quick, accurate steering - you can navigate crowded city streets and winding mountain roads with equal skill. The turbocharged engine options supply plenty of pickup for quick acceleration. It's not bad on fuel economy, either, earning up to 23 city/30 highway mpg. As far as fuel economy is concerned, the Tucson offers a slight improvement, earning up to 26/32 mpg. Although the Tucson isn't quite as sporty as the Escape, it's still smooth and controlled around town. When its time to hit the highway, you'll enjoy a quiet, road-trip friendly ride. The Ford Escape has a lot to offer, but, in the 2017 Hyundai Tucson, you'll enjoy a premium combination of comfort, convenience, safety, and fuel-efficient performance. It's the total package - and its MSRP is lower to boot, saving you money at the outset.